Hours after the death of her husband, a box of books mistakenly turns up at Reme’s house. Instead of returning them, she picks one up at random and starts to read. Something happens at that moment: Reme locks herself in her house and devours them all, convinced that they speak to her about survival, repressed sexuality and frustration. When she emerges from her refuge, everything outside now feels different and hateful. 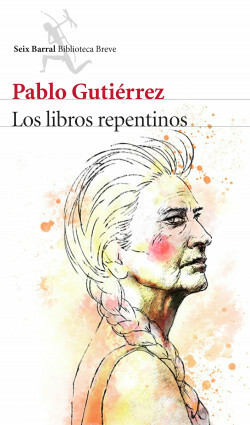 Los libros repentinos is about the healing power of literature and its disturbing strength. Following in the footsteps of Baroja, Reme intuitively senses that social justice can only be properly conveyed if reduced to a small scale, the size of a neighbourhood: a new battlefield without the windmills or bewitched inns. Social criticism, satire, empathy and tenderness combine in this magnificent and enchanting work of literature. This is the new novel by one of the best young authors on the Spanish literary scene. Pablo Gutiérrez is one of the most famous and critically acclaimed young authors writing today and has received many different awards and accolades since the publication of his first book. An extraordinary and very attractive main character: a middle-aged, working class woman who turns into a quixotic figure and inspires a revolution in her neighbourhood. This novel is full of humour and relatable characters. It has great potential to reach a wide audience, offering an original vision with a mixture of satire and social criticism.